How does a country recover from the unprecedented disaster unleashed by a supertyphoon? By creating new opportunities and creating a thriving center for enterprise. BAGS FOR REBUILDING LIVES. 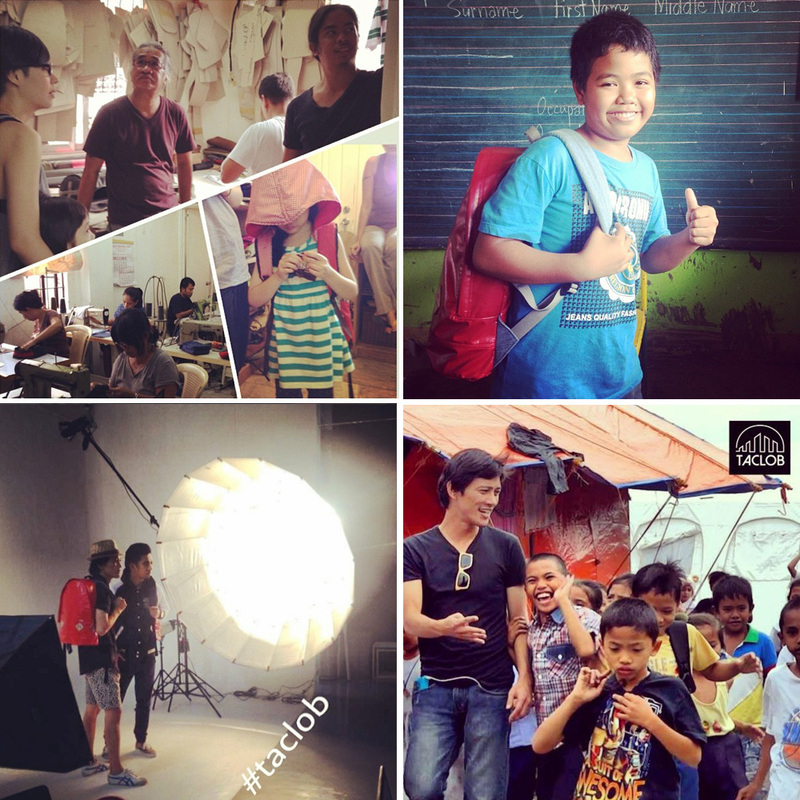 [Clockwise from upper left] Taclob meets with master bagmaker, Mr. Yadu Saulo and Khumbmela/Yadu Bag’s managing partner Dhanvan Saulo; 5th grader Angelo is one of the first owners of the upcycled, storm-proof, hand-made Taclob Bags; behind-the-scenes at the Ambassadors of Compassion photo shoot; Jourdan Sebastian in Tacloban, with the first recipients of Taclob bags. All images from the Instagram account of Jourdan Sebastian, used with permission. Can the Philippines be the social enterprise capital of the world? This was the bold question raised by Jourdan Sebastian, a filmmaker, producer, actor, and spoken word artist who recently co-organized “Operation Airdrop” to airlift much-needed relief goods to remote areas that were hardest hit by Yolanda. A self-proclaimed “Dreamer Warrior,” Sebastian threw the question to guests at Homegrown’s Hanap Buhay jelly in December 2013, which was the stage for a forum on sustainable efforts in response to the catastrophe brought about by supertyphoon Yolanda. He has since gone around to share this dream with audiences who want to listen. This is an excerpt only. Read the full post on the Homegrown.ph website.